Buying in bulk is always a satisfying event. Last writing, we witnessed the power of the package insert, that targeted brochure in the Shutterfly shipment that talked me in to buying a case of wine online. $100 bucks. Does it make sense? Who cares. Go for it! What follows is the recipe for embracing a customer with a story and greeting that is irresistibly compelling. Remember that 62% of lost customers complain they were simply ignored. Naked Wines took that lesson to heart. 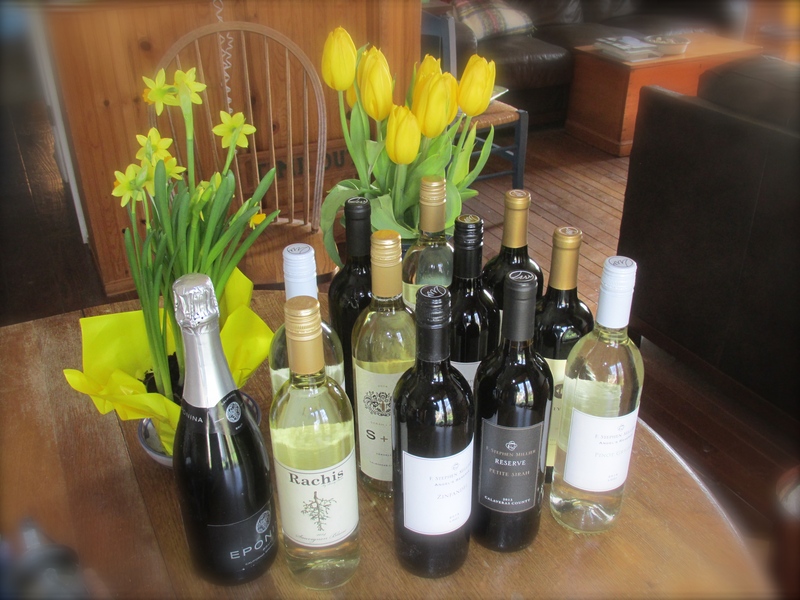 They pried the door open with a powerful offer: $100 off a case of wine. I was hooked. As soon as I had hit “send” I received an order confirmation. No surprise. The huge box was designed and written to please the buyer. But next came an Html, signed thank you letter from Rowan, the founder of NakedWines.com, including a short story from one of the NW vintners. Wine, beautifully wrapped and cradled like dynamite. 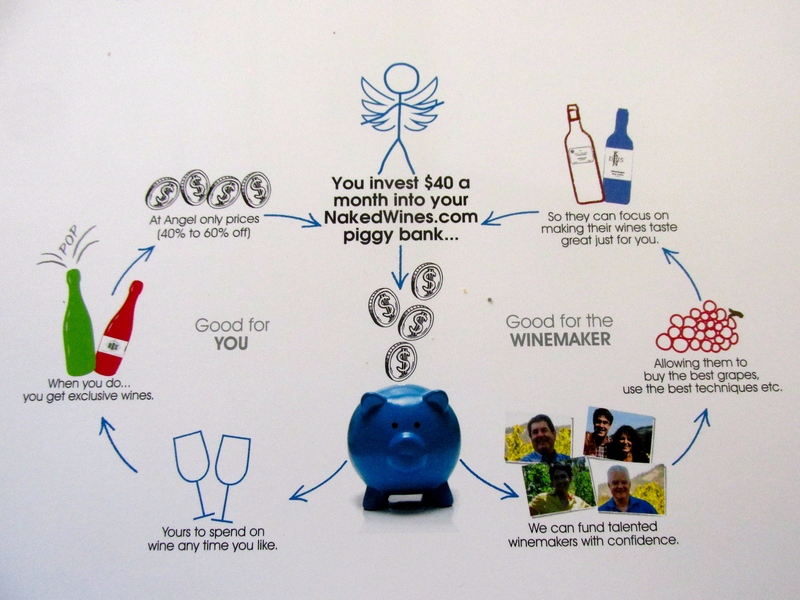 The company’s proposition is essentially for “Angels” to pre-fund their member accounts, and draw on the account to purchase wines at 40%-60% off the list price. Beyond the discount, we are cutting out the wholesale distribution constraints which small vineyards face. 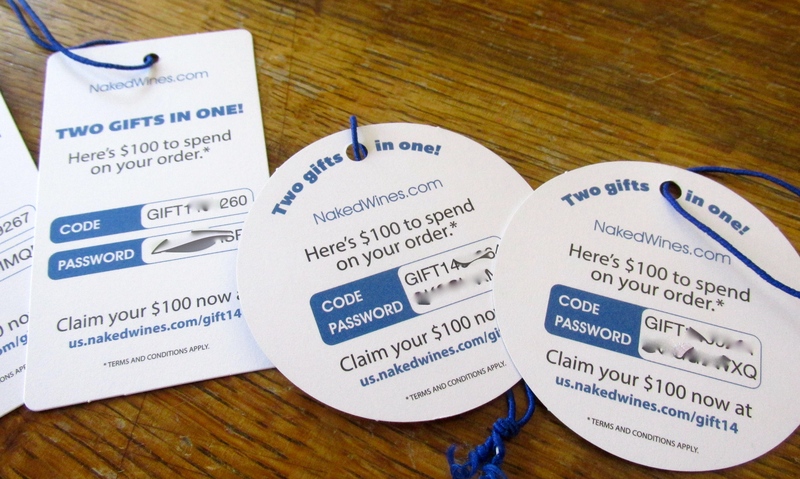 Thus, ordering Naked Wines warms you twice: once by buying and then once while drinking. In a few short days we took delivery of our starter case of wine. This is where the story gets warmed up with several touches. Pay attention, because the NW marketing team got it right. Rowan’s letter hints at acceptance to a special club. 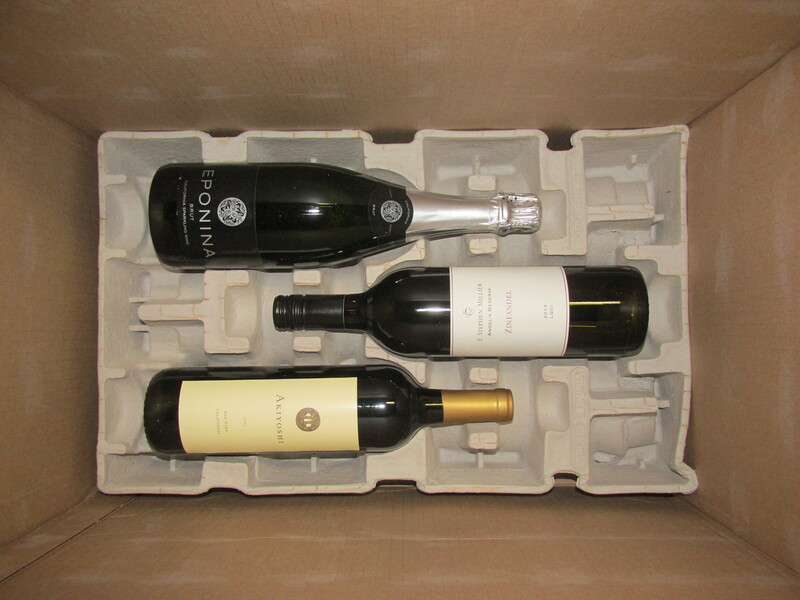 The box is about twice the size of a normal wine case. Hah! Stupendous! On the top is a greeting, aimed at Gen-Xers, which is especially charming for retirees like me. The side of the box reinforces the message that wealth is not a requirement for buying good wine. Great! Costco can wait. The embossed envelope is all about celebrating our purchase. Cracking open the gigantic carton, we find more package inserts, making more ridiculous price offers. Underneath, four layers of insulated wine bottles are revealed like shining mummies in a newly discovered tomb. 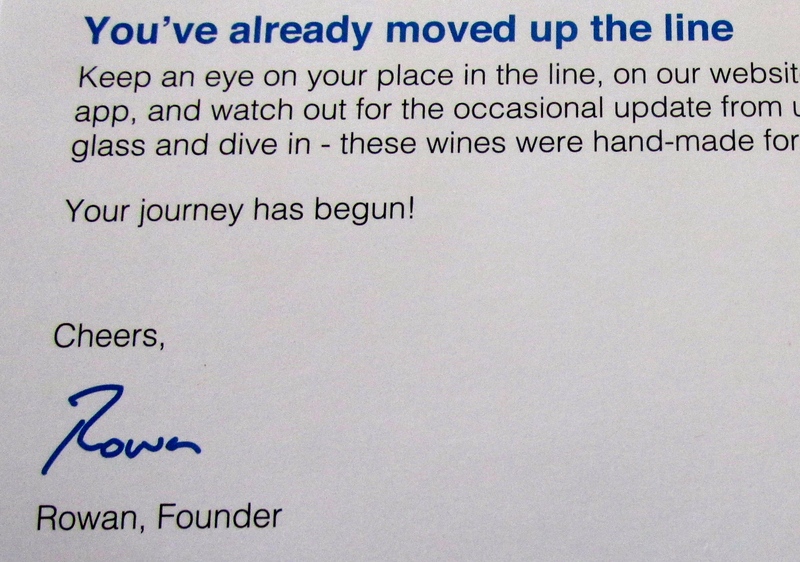 The embossed envelope is stuffed with bumper stickers, window stickers, and most important, a signed letter from Rowan, the founder of Naked Wines. A good marketer reminds the consumer how good the deal is. 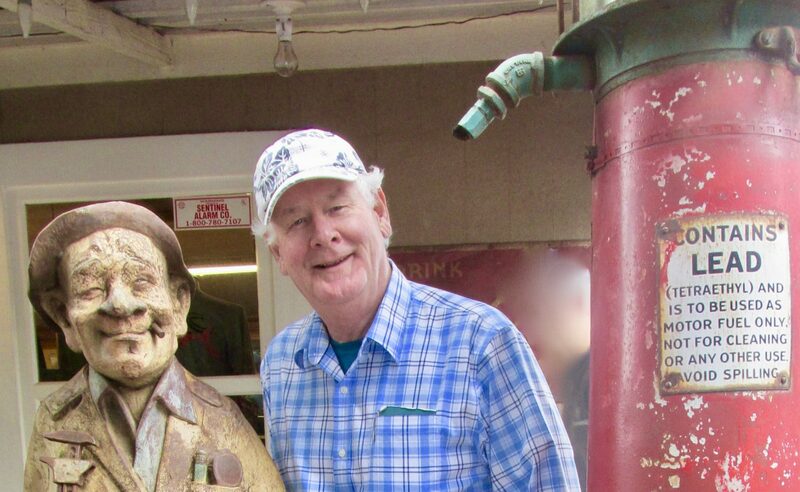 His message repeats the NW positioning–Angels help small vineyards deliver low-priced, high quality wine, and he starts a tease: you are not an Angel yet. We are in queue to open a member account, but there are 15,289 in front of us, like Clarence, still waiting to get their wings. Rowan advises we get an NW app to see our place in line move up as Angels before us finally take flight. Rowan might say, ‘as the eagle flies’, looking at his bank balance. We aren’t hanging on the edge of our bar stools, but still, Rowan is showing Tom Sawyer-like hesitation in allowing us full Angel status. More offers! We can’t save money fast enough. A well delivered value proposition continually reinforces its message to the buyer, long after the sale. Rowan’s letter includes a graphic for impatient scanners which pictorializes the deal….oh yeah, that’s why I did this. 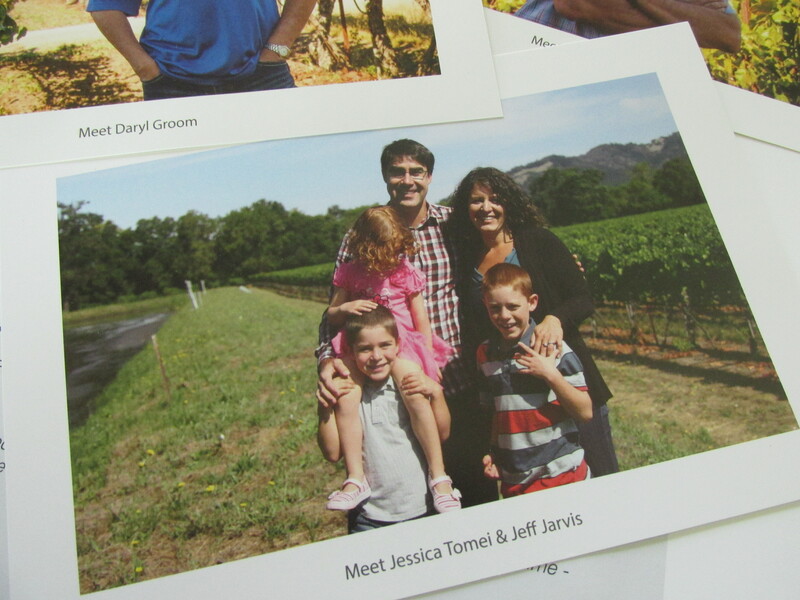 Beside that, he includes some family photos of the vintners so we can better relate to the hard-working growers we are supporting. The final touch is brilliant. The vintner writes a signed letter on the back of each wine bottle. Do you read the back of the cereal box while you are munching down your Wheaties? 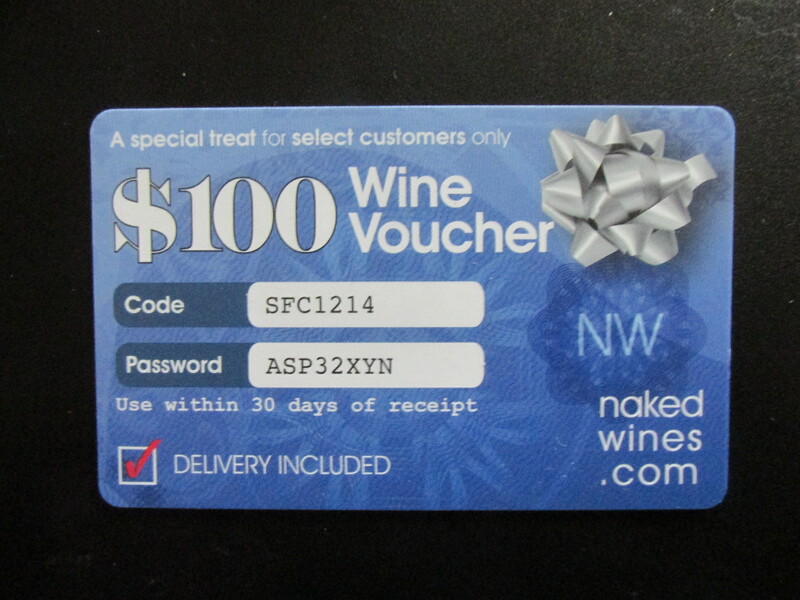 Naked Wines recognizes that habit, and uses it to embrace the buyer with a thank you. One of the struggling, purple-footed families we are supporting. 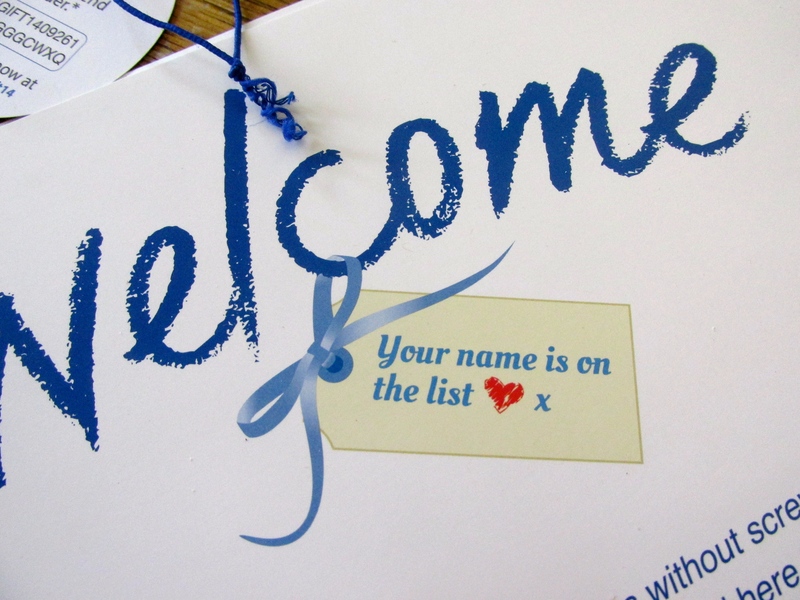 The full complement of printed greetings is supported by @NakedWines Twitter address for those candid remarks that might bloom from a recent sit down with a new bottle. We are in the preliminary round of testing the Naked Wines. It is unlikely we will place the “Strip and Sip” decal on our car window, what with driver distraction rules. Each bottle is labeled with a signed letter from the winemaker. Meanwhile, we are assiduously staring at the clouds, swishing grape nectar over our palates, wondering when our Angel number will come up. Thanks for reading! I have never got over the excitement of ordering exclusive goods from strangers far away. 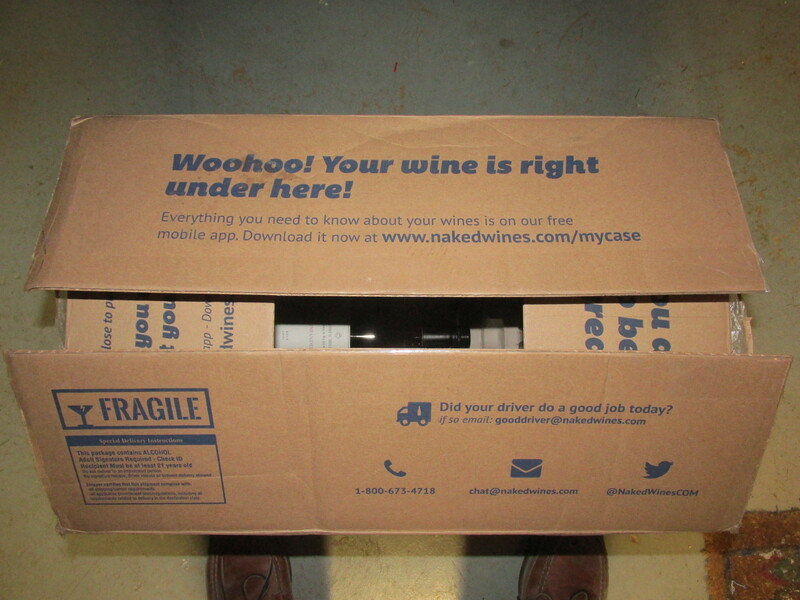 Naked Wines does its best to enhance the enjoyment of buying. Hey Phil, thanks so much, great stuff. By the way, my wife and I are huge Captiva fans– love the picture. Glad to hear from you Bob! I hope you get to enjoy a good bottle of wine too! Phil, I have received the $100 card from NW in packages before and ALMOST bit on it, but thought, nah, there must be a catch. Now, I regret it! Next time I get one of these cards, I’m in! What a great story (yours and theirs). Thanks for sharing, and enjoy the wine. Hi Jackie! It all depends if you are an inveterate wine taster as I am. We get a lot of enjoyment out of picking wines by their labels and price… and sometimes we find really good flavors that we will return to. The Naked Wines angle provides a wide expansion of little known choices. The commitment is you have to join the club, which means automatic deposits in their vault. We have opened our second bottle, an ‘unassuming’ ‘red wine’ bottled by David Akiyoshi. Really good with steak. David wrote a nice note on the back of his bottle, so it was a pleasant experience. Thanks for writing!